Begun as only a concept in July of 2012, this Co-Headquarters for MSC Industrial Supply in Davidson, NC, was occupied in August of 2013. 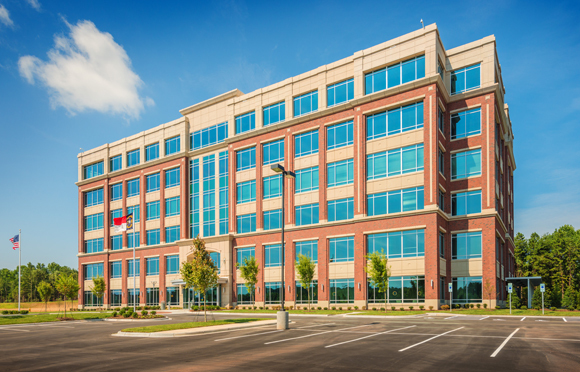 RJTR, along with Choate Construction’s Charlotte office, worked very closely to meet the high expectations and aggressive construction schedule set forth by MSC. The RJTR design team worked hand in hand with MSC Industrial Direct to create a new and exciting open office work environment for associates. By moving managers into spacious workstations, MSC hopes to grow a more collaborative culture. The six story, 160,000 square-foot building offers a number of amenities not available in MSC’s current headquarters building in Melville, NY. 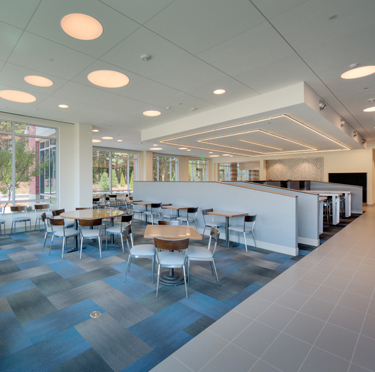 Both a vendor commons area and cluster training room, provide a wide range of meeting options for vendors as they come in to meet with MSC associates. Each office floor is supported with a collaborative break room area with beautiful views, lounge areas and coffee amenities that are sure to please any corporate culture.